Increasing home energy efficiency has many benefits, including improved comfort, minimal drafts, and most importantly diminished energy expenses. Achieving these results will differ for every household, however, a home energy audit will identify the weaknesses in your home’s building envelope, demonstrating exactly what upgrades will benefit your home the most. Don’t let energy efficiency be guesswork. If you’re in the market for additional insulation or an updated HVAC system, a home energy audit will show if either of these is an effective solution for your home’s individual needs. Call or contact us to schedule a home energy audit, and find out exactly what will make the biggest difference. Why get an in-depth energy analysis? Prioritized suggestions on potential upgrades. Save as much as 5-30%* on your energy costs with audit-identified improvements. 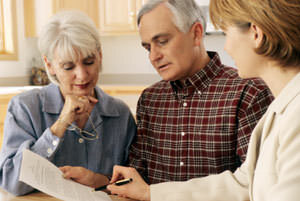 Avoid outlandish claims of energy savings. All suggested upgrades come with a Free Estimate. No need to hire multiple contractors- we can perform the audit and complete any improvements desired. An energy audit from Burke Construction will involve one of our specialists using different inspection and testing techniques to ascertain the function, safety, and efficiency of your home’s important systems. Our experts will also use specially designed equipment to locate points of energy loss throughout the home, in particular the basement and attic. Using the results garnered from the energy assessment, Burke Construction can then create a detailed written account identifying how your home uses energy and any locations where energy is wasted. This also will show the best upgrade options and the order in which to have them completed. Avoid a haphazard approach to energy efficiency. Without a professional examination, you might waste money on an update that doesn’t get the desired results. Call or contact the experts at Burke Construction today to schedule a home energy audit! Avoid uncertainty. An in-depth energy analysis from Burke Construction provides you with a prioritized list for upgrading your home's energy performance while lowering monthly expenses and improving overall comfort. The home is a system made up of many different components, all of which contribute to overall energy efficiency. When one of these parts isn’t working properly, the rest of the home is affected as well. A prime example of this is how leaky ductwork will increase the burden on your HVAC equipment, forcing it to run longer and work harder to maintain comfort- increasing your bill at the end of the month. If you already know what needs to be improved, such as a replacement water heater or an insulation upgrade, give us a ring to get a Free Estimate. If you’re less than certain where to start, take advantage of our home energy audit to pinpoint your home’s weaknesses, which will allow you to identify the best possible upgrades. As a part of the Dr. Energy Saver network, the specialists at Burke Construction are trained at the company headquarters. What sets us apart from the competition is that we can perform an in-depth analysis and complete the identified upgrades in the proper order. We are truly a one-stop shop for home energy efficiency! If you’re in the market for superior energy services, call or contact the experts at Burke Construction today to learn more or to schedule a Free Estimate. 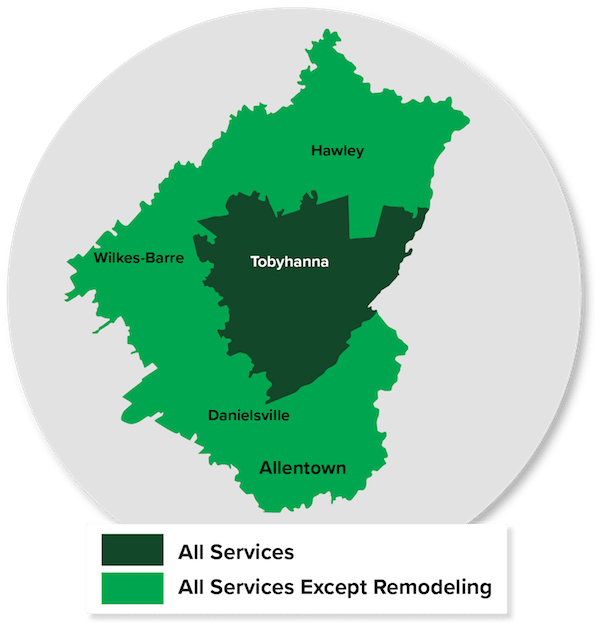 We proudly serve Stroudsburg, Easton, Allentown, East Stroudsburg, Bethlehem, Bangor, Pen Argyl, Bartonsville, Wind Gap, Pocono Pines, in PA.